Söll is a traditional family-friendly ski resort in the heart of the Tirol and the biggest of nine villages surrounding SkiWelt, the largest interconnected ski area in Austria. With close to 300 km of well-groomed pistes and some of the best views in the Alps, Söll is a definite go-to destination. Visit the summit of the Hohe Salve featuring a 360-degree viewpoint bringing you up close to more than seventy 3000+ meter peaks. Enjoy true Austrian hospitality in the many inns, cosy bars and lively restaurants. Located in the Austrian state of Tirol, Söll is the biggest of nine villages comprising the famous SkiWelt. At 703 m above sea level, the is village nestled in a picturesque rural location, with a marvellous Baroque church as the crown jewel with the snow-covered Alps as the backdrop. There are no direct train connections to the resort, but you can take the train to either Wörgl, 12 km to the West, or Kufstein 14 km to the North, depending on your direction of arrival. From the train stations, any transfers can be arranged. Regardless of your itinerary when heading out to Söll, our dynamic pricing system will keep your travel costs as low as possible. By taking into account the specifics each individual trip, we can offer our costumers the best possible deals at all times. Choosing Alps2Alps means securing comfortable and reliable transfers for you and your group to your chosen destination for the lowest possible price. All of the aforementioned criteria will only ever result in our ski transfer base-rate. We never over-inflate our prices at any time or for any reason. We also offer considerable discounts for off-peak, off-season and midweek transfers to Söll. If scouting for the best possible deals, travelling outside peak season or midweek typically results in the biggest savings. We offer midweek (Monday to Friday) prices with discounts up to 60%! Your transfer quote will also depend on overall vehicle availability, your transfer schedule and vehicle utilization, as well as other possible costs like road tolls and airport parking charges. If you have any specific requirements or plan to be travelling in a larger group, please contact us directly so we can discuss this. 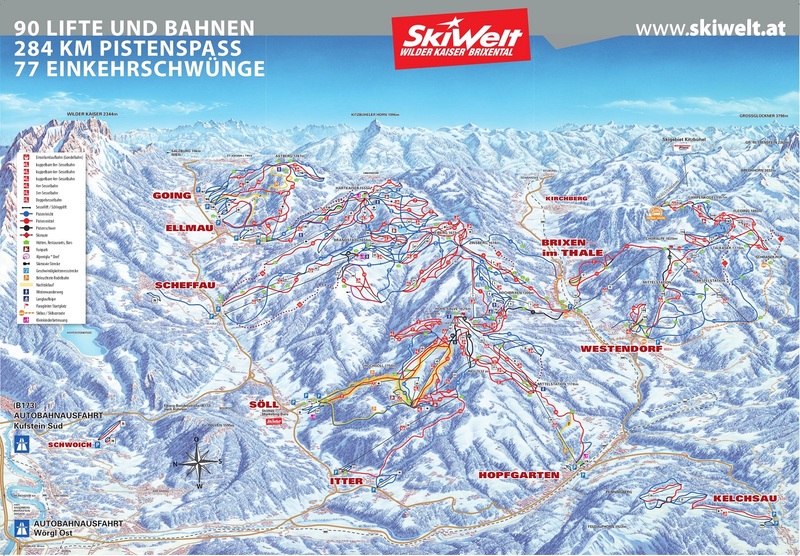 Söll/SkiWelt is a great destination for beginners and intermediates as well as those with families. From first-timers to experienced pros, there’s plenty on offer for everyone. Söll with its pretty scenery and gentle slopes is popular among beginners and intermediates. The village is family friendly and a favourite destination for those looking good-value accommodation. 22 ski schools and 4 fun-parks, 3 toboggan runs and much more offer the youngest skiers possibilities for winter sports skill improvement and great fun! Professional instructors will help you move around the slopes safely and responsibly helping you boost your confidence. Get your trip off to a flying start with a little help from Alps2Alps. We’re proud to offer the most reliable, affordable and enjoyable Söll resort transfers. Begin your holiday stress-free and start enjoying the Alpine surroundings the moment you step on board. If you’re out to get the best possible deal on your resort transfers to and from Söll, be sure to book beforehand. If you are unable to spot the service or destination you’re looking for on our website, get in touch with the Alps2Alps customer service team today.